Are you looking for an original product to pack cosmetics, small gifts, elegant perfume or jewelry? Wholesale B2B offer of our company are hundreds of stylish organza, jute and satin bags, occasional and decorative bags, which are commonly used for decorating tables and wedding halls, as well as for packing small gifts for shoppers or invited guests. We are the largest importer of organza bags in Europe! Wholesale offer of our company has a huge selection of colours, shapes and sizes of decorative pouches, made of different types of fabrics. What is more, our bags can be tailored to your individual requirements, printed with your company logo or any other graphic sign. For more details see our offer for customized pouches! 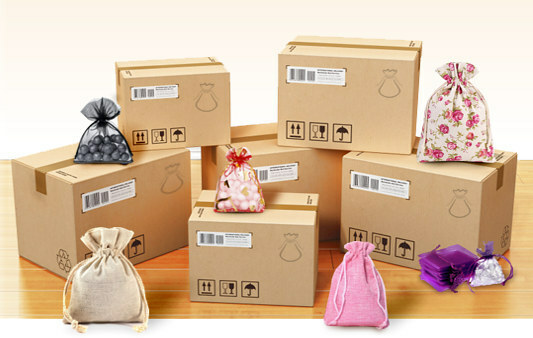 Ordered goods can be delivered within one day, even if it is a large order. We offer regular discounts, free delivery and the ability to issue invoices with deferred payment date. Organza-bags.co.uk is a true professional approach to every contractor, but also the largest pouch stock in the entire Europe! We have 8 million bags on our warehouse and this number is constantly growing! Our professionals take care to have a full offer on stock levels. Therefore, when buying from us you have the certainty that the selected product will not be missing. It is very important in long-term business relationships to have a reliable and stable supplier! 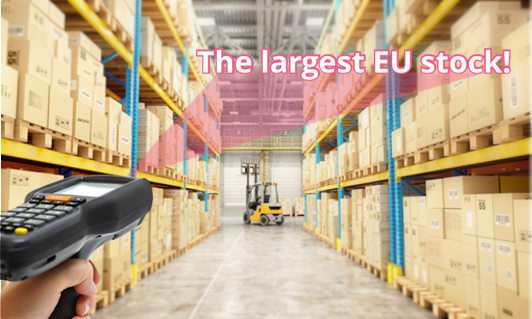 Working with us, you have a guarantee of timely deliveries and the fact that a given product is in our warehouse! We encourage everyone to contact us!